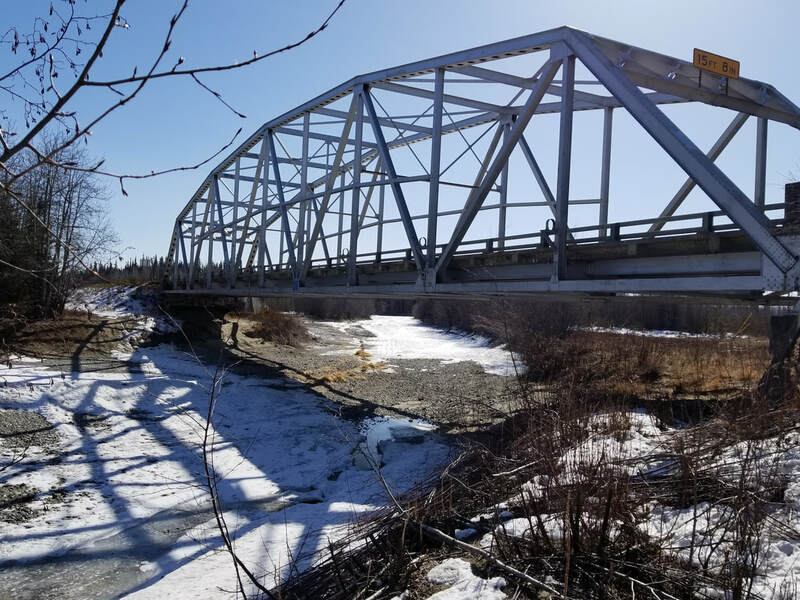 This project replaces an existing 250-foot-long steel truss on the Alaska Highway over the Tok River, about four miles east of Tok. The project requires a 280-foot-long x 32-foot-wide detour bridge that will be built this fall, 2018. The new permanent structure is a three span, 360-foot-long x 43-foot-wide bridge founded on 24-inch driven pipe pile at the abutments and 36-inch driven pipe pile at the piers. The bridge superstructure is a typical 54-inch deep Deck Bulb-T precast girder design. Work will start fall, 2018, shut down for the 2018-2019 winter, and start again in early spring to begin with construction of the new bridge. 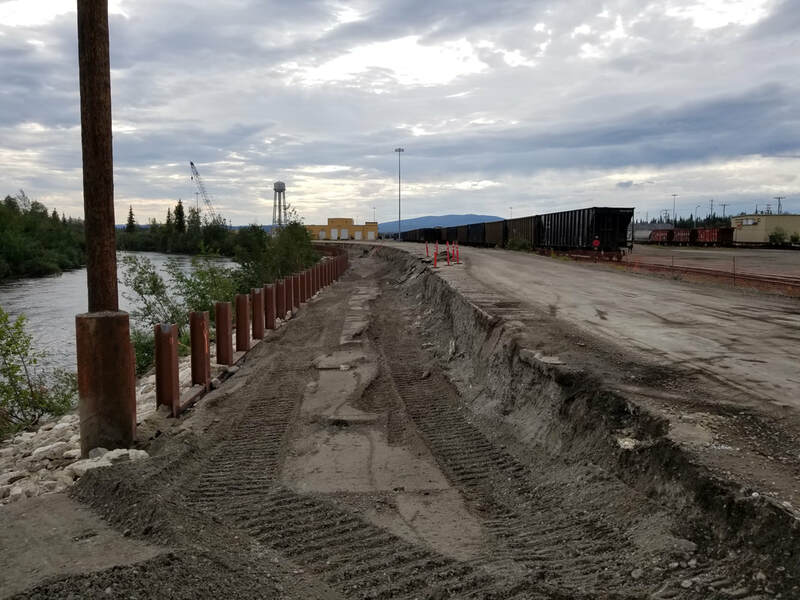 Construction of a 600-foot-long soldier pile retaining wall to facilitate the widening of Phillips Field Road adjacent to the Chena River in Fairbanks, AK. Structural elements include driven H-Pile, precast colored lagging panels with an architectural finish, and a cast-in-place concrete coping wall. Concrete rehabilitation, joint repair, and overlay work on three waterfront viaducts in Ketchikan, AK. Hamilton Construction has partnered with Great Northwest Inc. as the CMGC team contracted by Alaska Dept. of Transportation and Public Facilities for this project near the Denali National Park. To enhance safety and mobility, the project includes new pedestrian facilities, a rest area, and intersection improvements. 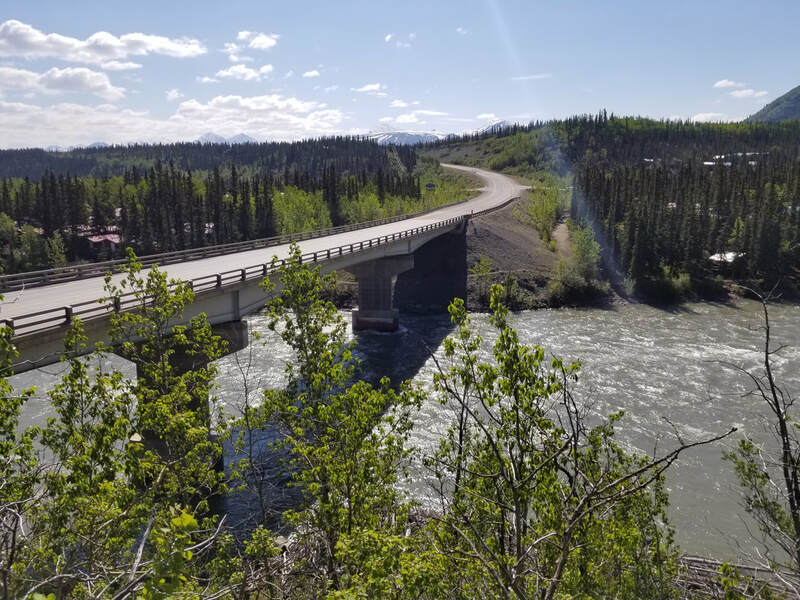 Our team will replace the Nenana River Bridge to add turn lanes, eight-foot shoulders, a multi-use path, and pedestrian underpasses at the MP 231 intersection and the north bridge abutment. We will also construct a wayside and turn lanes for the new wayside, the MP 231 intersection, and the Old Parks Highway intersection at MP 230. We are currently working with ADOT&PF on the conceptual designs and constructability as part of the preconstruction phase. Construction is expected to begin in 2018 and estimated to complete in 2021. 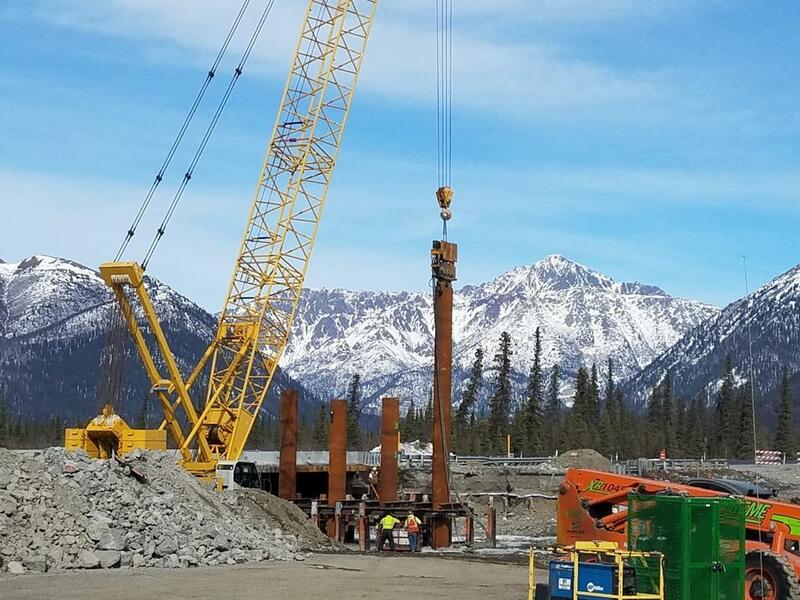 Hamilton is working with with Neeser Construction to provide the structural work on this project that replaces the existing Muldoon Road Interchange on the Glenn Highway near Anchorage. This interchange is a major gateway to Anchorage at its northern most junction. The new Diverging Diamond Interchange will replace the existing cloverleaf. The bridge work includes parallel two-span 222-foot-long bridges founded on driven H-pile at the abutments and 36-inch steel pipe pile at the bents in the median. The superstructure consists of 54-inch Deck Bulb-T girders with an asphalt overlay and waterproofing membrane. Additional work includes ornamental pedestrian bridge railing, cast-in-place concrete coping, and barrier rail for the MSE walls. Hamilton Construction is teamed up with Great Northwest Inc. (GNI), a well-known Alaskan heavy highway contractor to build this project which will rehabilitate and widen University Avenue in Fairbanks, Alaska. The project extends from the Mitchell Expressway south past the Chena River and replaces the Chena River Bridge crossing. 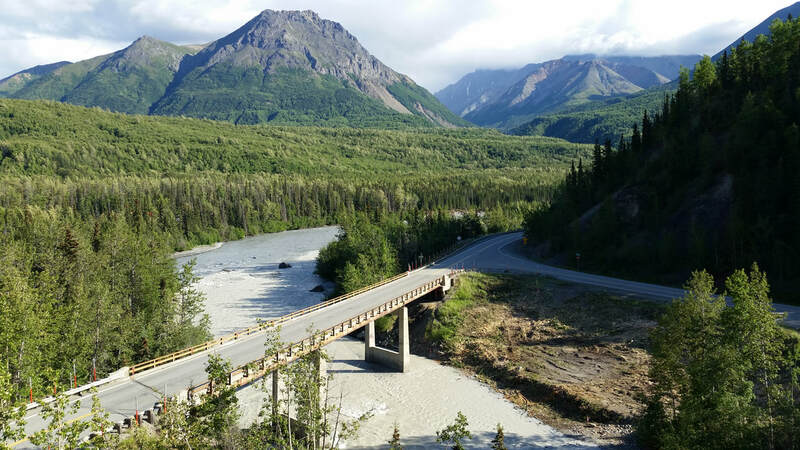 The Alaska Department of Transportation & Public Facilities (ADOT&PF) project presents many challenges including acquisition of property, relocation of utilities, and replacement of a bridge on a busy transportation corridor. Our team is currently working through the preconstruction phase of the project. This project extended Trunk Road southward from the Parks Highway to Nelson Road to respond to a growing community by providing improved access to the area south of the Parks Highway and east of Fairview Loop, as well as to develop an integrated roadway network that respects neighborhoods, minimizes through-traffic, and facilitates better pedestrian and vehicular movement. The new 1.5-mile road segment includes a multi-leg roundabout to be constructed on the south side of the Parks Highway Interchange, a roadway to the south with 12-foot travel lanes, and paved shoulders. Our team built a new bridge crossing the railroad and replaced the existing bridge at Wasilla Creek. This project for the Alaska Dept. of Transportation & Public Facilities replaces the existing Slana River Bridge located at MP 75.6 of the Tok Cutoff. 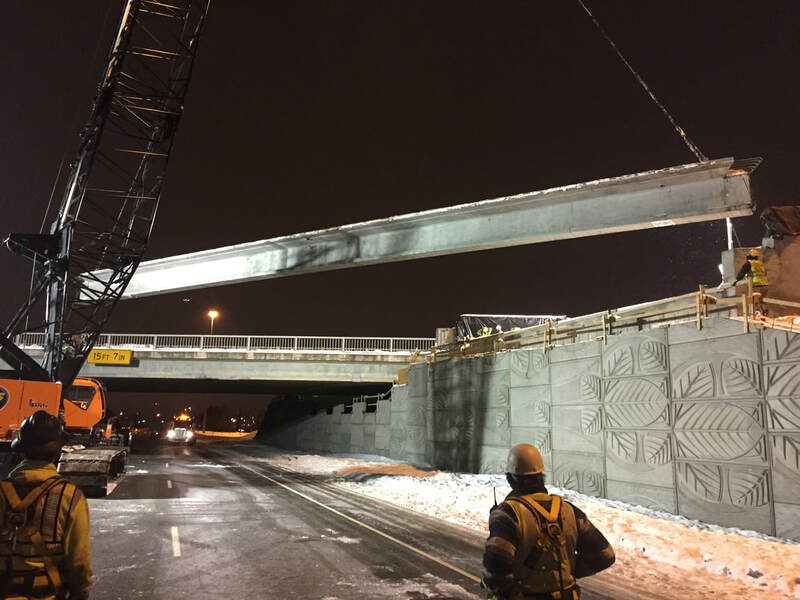 The new structure is a two-span 224-foot-long precast deck girder bridge. Traffic staging for the project required the use of a temporary detour bridge as well as a temporary work trestle. Profile grades will be raised to accommodate the new bridge structure, and 0.5 miles of roadway and an existing pullout will be paved. Our work also includes the replacement of signs, culverts, and guardrail. This project is located at MP 78 of the Glenn Highway. The new bridge will be a three-span 45-foot x 350-foot-long precast bulb-tee girder bridge with cast-in-place deck. The two center piers are 10-foot-diameter shafts approximately 55-feet-deep and the abutments are four each, 5-foot shafts (two abutment) approximately the same depth. Work requires building a seven-span work bridge and driller slips. 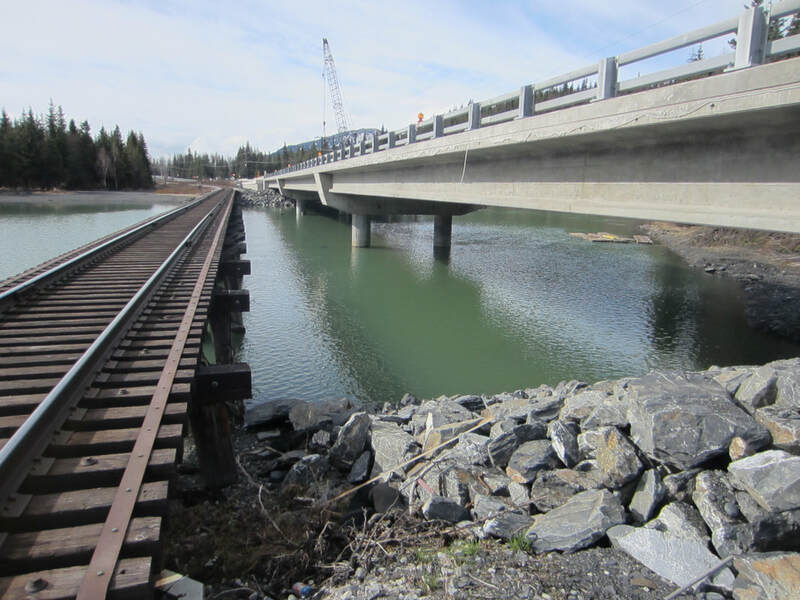 Project consisted of a new 50-foot-single span 16-foot-wide steel girder bridge with precast deck panels for the Matsu Borough near the town of Trapper Creek. The old bridge was removed and used as a bypass bridge for local traffic while the new bridge was constructed over Gate Creek. 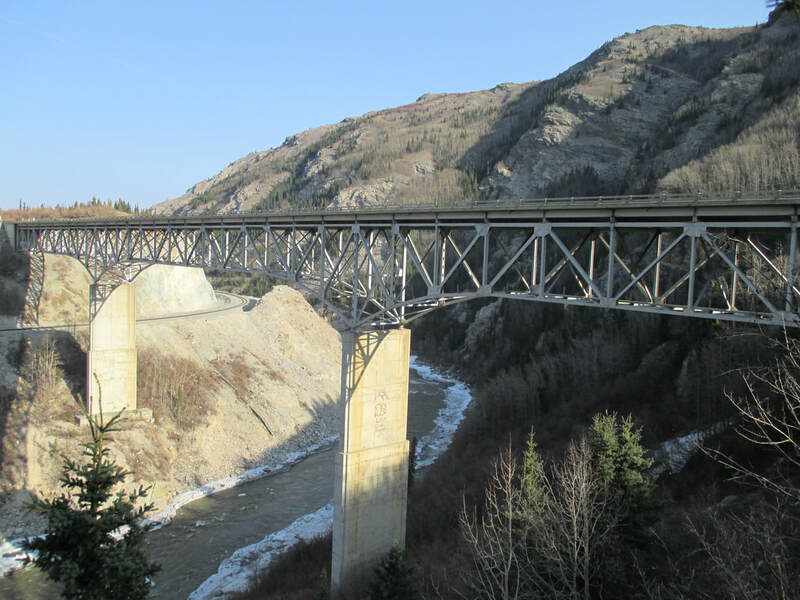 Work included driving 12-inch-diameter piles, structural steel girders manufactured by Hamilton and shipped to AK, precast panels for backwalls and deck, minor grading work and rip rap installation. This is a seismic retrofit project involving 10 bridges located in Healy, Alaska. 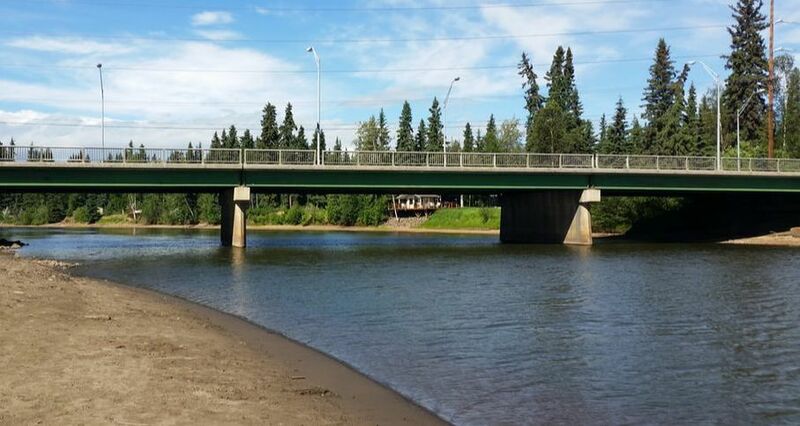 These bridges and highway serve as the main link between Anchorage and Fairbanks. Work included pouring concrete infill walls between existing pile, widening existing concrete caps and beam seats, widening of existing abutments and beam seats, installing seismic cable restrainers, constructing new approach slabs, concrete deck repair, bridge deck overlays, polyester concrete placement, jacking a three-span 890-foot-long double truss bridge to replace eight friction pendulum bearings, and replacement of all bridge rail. Hamilton Construction Co. recently completed construction on three Seward Highway bridges located about a half hour north of Seward (1-1/2 hours south of Anchorage). The project involved replacement of three bridges including two 149-foot single span bridges; and a three-span, 383-foot structure.